We all are living in a world where technology is changing faster than ever before. You can find proof of this in every aspect of your life maybe you can find something in the same room in which you are sitting right now. With all this technological advancement, a new type of problem arises, i.e. User Privacy or the protection of user data from any illegal or unwanted use. In this article, we’ll check out the best Password manager available for all the platforms so that you don’t need to remember your password. For solving privacy issues, the very first step is to assign a password which allows only authorized person to get access into the system which may be of any kind like it may be a social network, your emails, your home security lock or even your bank account. While the online world is expanding rapidly, we create new accounts almost every month on a new platform. In order to avoid the hassle of remembering the password, we keep almost all our passwords the same. While experts say, in order to avoid any unauthorized account access, it’s better to keep different password for each platform. But is it possible to remember so many passwords? Who says you need to remember them, Password Manager helps you remove this problem. There is a significant loophole in authorising a user only by Password authentication. Assume a situation in which you shared the password of your social network with your best friends so that you don’t forget it. After some day you guys get into a fight, and now your very best friend wants to harm you. He can easily do this by gaining access to your social network using your password which you shared with him earlier, and harm your online presence. These type of behaviours are prevalent. So at this point, you might be thinking that you can’t do anything, to keep your password safe and secure. While there are many things you can do, but the easiest and most effective way to secure your password is not to tell anyone about this, pretty obvious. Yeah, you guys might be like – “I know this man but how to remember the passwords of every social site and email ID we use on a regular basis”. Then, my friend, this is the perfect place where the Password Manager comes into play. Keeping it short and straightforward – “Password managers are the programs which help you in storing and managing your passwords.” Simple Enough! If you are still in doubt then here is the simpler explanation; Password managers are the software application that you can install easily on your computer or mobile. The primary function of these programs is to store and manage the different passwords of the users using a single master password. How Password Manager Works ? So, it is apparent that you guys are now wondering over the working of password manager, i.e. “How Password Manager Works”. The working is very much straightforward than you think. Your passwords for different online accounts are saved in an encrypted form in the password manager, and you get a master password. So, Instead of remembering multiple passwords you have to remember only the master password using which you can easily access rest of the password whenever you required. Now you might be wondering “ Why to save in Encrypted form”? The answer is simple because when the password is stored in the encrypted form, even the parent company of the password manager isn’t able to get your real privacy, so in a simple language it levels up your privacy and makes it more secure. How to use Password Manager ? 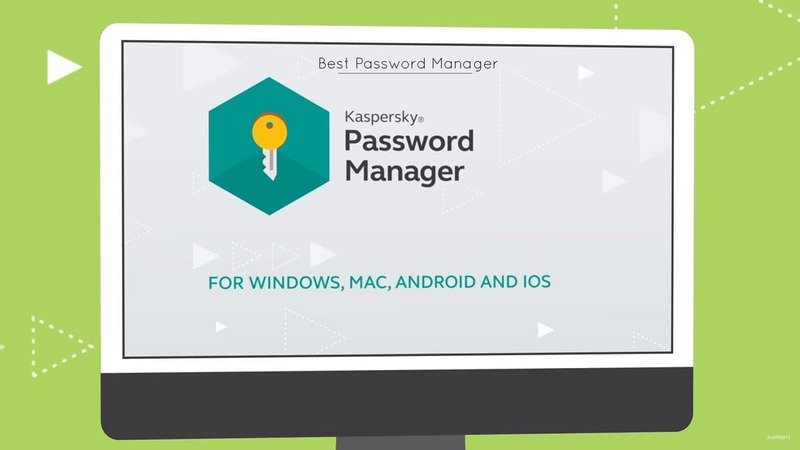 Using Password Manager is not a big deal. You just simply open the password manager using the master password you set for the password manager and add username and password for the respective site. Save it and you are done. That’s it. Why is Privacy so important ? Before going any further in the article, let me address this thing also. Many of you might be thinking “Why privacy is so important even though I have nothing much important, which can be misused.” If you are also among these type of people, then the next few lines are just for you. Your Privacy helps you in maintaining your autonomy and individuality. I am sure, you don’t like everyone to know about your personal life, financial situation? It’s irritating, and you start feeling insecure and manipulative by the fact that what others are thinking of you. In the same way, the term Privacy works Online. When you have your privacy, no one is going to look up you or use your online data in any illegal things or in any manipulative way. You must be aware of the recent act done by social media giant Facebook when they compromised its user data and sold it to a company who used this data to manipulate your political thinking. Also, people who have no rights of privacy are always vulnerable to the unlimited government intrusions, hackers and private firm who are in constant search for a chance to interfere in your personal affairs. So I think all this is enough for you to understand why privacy is so important. 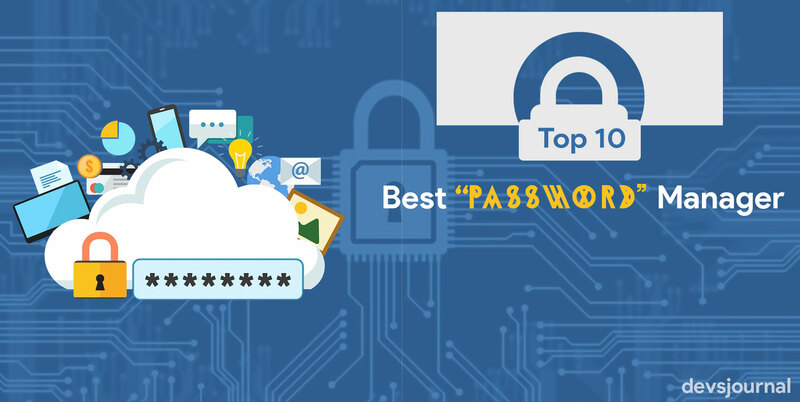 Coming back to the main topic of the article “Best Password Manager”, there are many password manager out there which you can use to manage your password. But different password manager comes with different features, some are free and some are paid. And that’s why making a choice while choosing the right password manager is really painful for the users. That’s why we are here with this list. We corrugated this list of Best Password manager for halting your search for the same i.e Password manager. So without wasting any further time, let’s dive in straight. 0.1 What is a Password Manager? 0.2 How Password Manager Works ? 0.3 How to use Password Manager ? 0.4 Why is Privacy so important ? One of the best free Password Manager in the world. 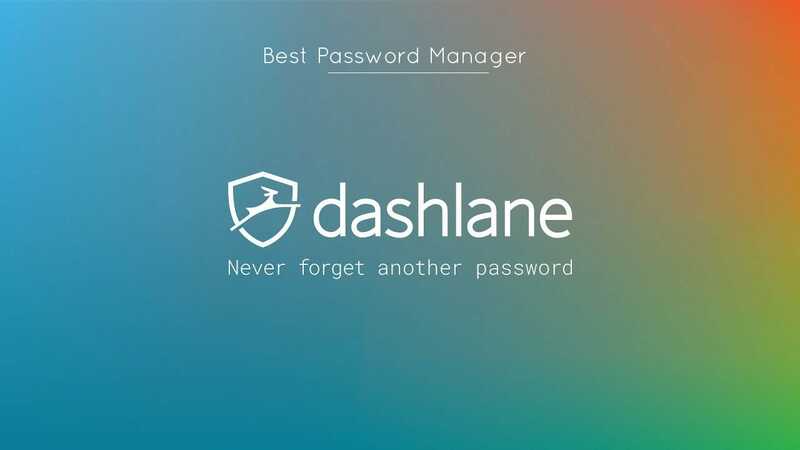 Dashlane Password Manager is compatible with all the browsers, and there is also apps for windows, mac, android and IOS users. The two-factor authentication process makes your credentials more secure, and it also comes with a password strength report feature, i.e. it tells you that you strong your password is. With Dashlane Password Manager, you can easily store, secure, and access all the passwords, logins credentials, payment information, and other sensitive personal data very quickly and in a well-mannered way so that you can find them all in a single place. Best in its field, LastPass Password Manager is one of the low-cost password managers with some great features. Still, if you don’t want to buy the premium version, there is also a free version with limited functionalities. LastPass premium version is worth the price as it comes with many great features which makes managing your password very efficient. Features like Locally-stored master password, Two-step verification (2FA), AES 256-bit encryption, PBKDF2 SHA-256 and salted hashes, Password autofill, Password editing, Password generator and strength auditing, Accessible via any browser, browser plugin, or mobile apps, SMS account recovery are more than enough to keep your password safe and secure with LastPass password manager. 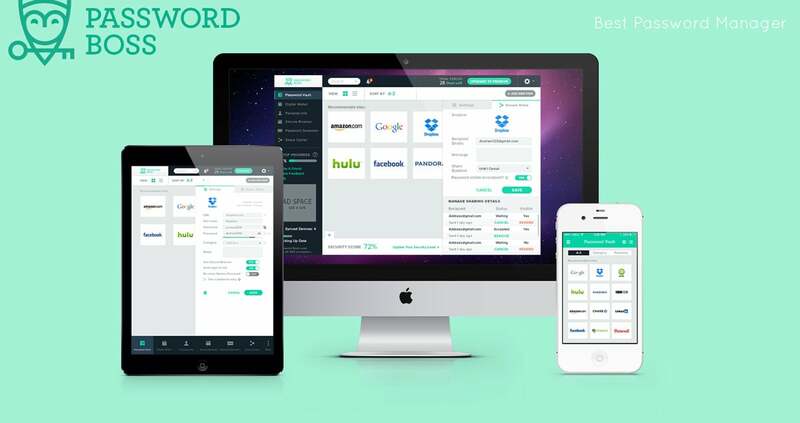 Password Boss is an award-winning password manager and offers various new and helpful features like a checklist of startup tasks. When you are creating the account for the first time, it shows you 15+ most popular sites, most probably you are using many of those. To save passwords, you only need to add username and password in front of the respective site, and you are good to go. Other than this, Password Boss uses Google Authenticator for two-factor authentication in addition to the master password to make your account more secure. Talking about the organisation of the passwords, Password Boss offers you two modes by which you can see your saved passwords. First is the Tile View that packs the most items into one screenful and the latter is the ListView which shows each password in a list format. You can also rely on Keeper Password manager to store and manage your passwords as it has been used by over 50,000 plus user all over the world which somehow shows the widely accepted credibility of the program. With Keeper Password Manager, there is no need to manually adding the login credentials, and it captures password automatically. Whenever is detect a login screen, it shows you a small popup windows asking you to create a new record or add to an existing one. You can directly enter your username and password to this small window, and keeper fills the actual login screen by itself. Although this step is required only for the first time, after that you can log in to the site in a regular way. Keeper Password Manager also comes with the powerful password generator automatically that helps you in generating new and powerful password anytime you are going to create a new record in the admin panel. Last but not the least, same as all the above password manager Keeper also use the two-factor authentication to provide you with the extra layer of security. 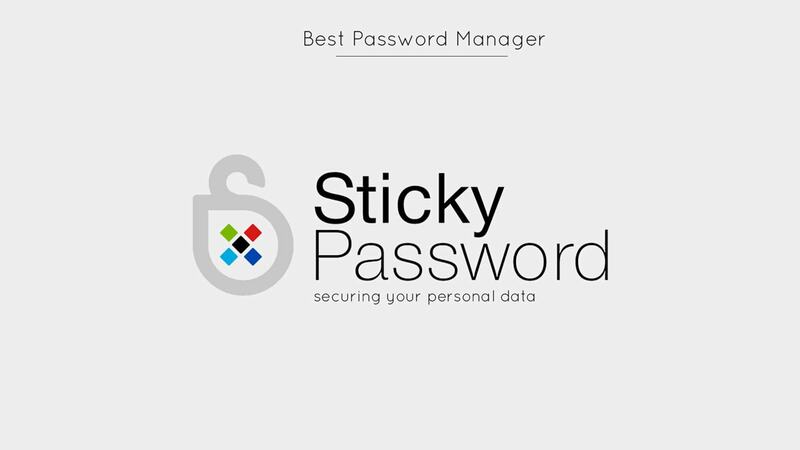 Sticky Password Premium, designed for the same job i.e to store and manage your password securely; offer you a wide range of features like strong encryption (AES-256), one master password, ability to synchronise passwords across a number of devices, password strength checker, password generator, two- factor authentication and many more. The program offers you a great user experience as the perfect blend of blue and white colour gives a sleek look and makes each component self-descriptive. It can also automatically catch Login credentials and save them in a record, from the website by detecting the login screen. You can also save the passwords of the programs which require passwords. Just select the program, enter your login credentials and you’re all set. It is that simple. 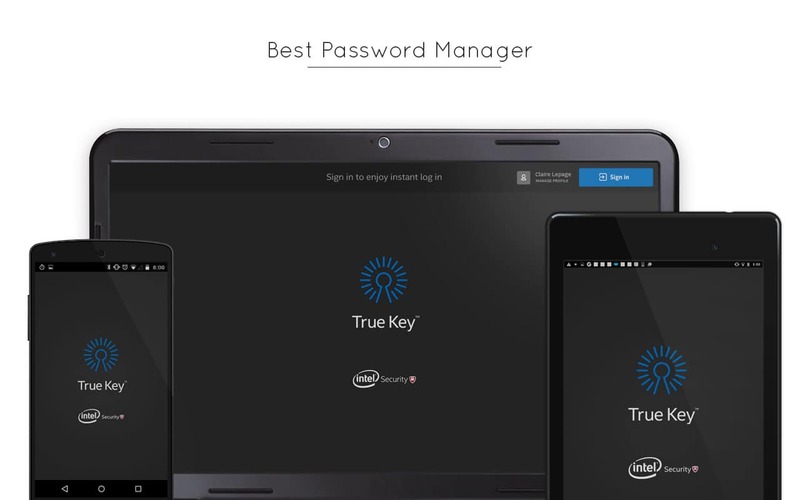 True Key by Intel is an intelligent password manager which lets you sign you in without passwords, although you need it for the very first time and later you can use your face or fingerprints. One of the best feature where True Key stands out it the quality tech support which is very rare among password managers. You can easily synchronise passwords across Windows, Mac OS, iOS, Android and it can operate securely even without the need of master password(By this it doesn’t mean that master password is not essential). For the first time you have to use a master password and once you logged in you can select from the primary security level that you want to authenticate using your face, not a master password. That’ it, the next time you when you try to log in, True Key asks your face instead of a master password. True key password manager is free; you can start using this in just a few minutes. All you need to do is to go on its official site, download True Key and start using it. That’s it. Majority of you guys must be familiar with the company – Kaspersky. Yup, you guessed it right, the same company which makes the world famous Kaspersky Antivirus. With all of their product inventory, their password manager is quite successful too. It comes both in free and paid program for Windows, Mac, Android, and iOS, to manage passwords across all your devices although the free version is limited to only storing 15 passwords which are more than enough if you are testing the product. It may not be as best as the above one, but it does the job of a password manager as it comes with features like autofill, compatible to all major browsers, multiple device synchronisation, form auto-fill, automatic password grabber and many more. On the other hand, if you are going with this, you have to compromise with the two-factor authentication as it doesn’t come with this. 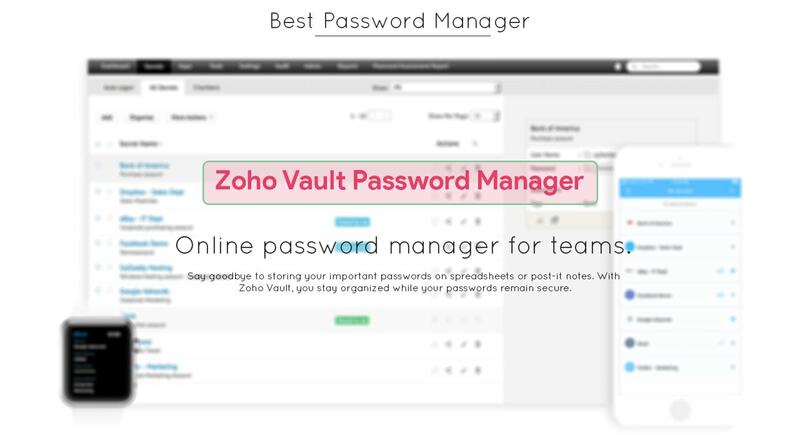 Zoho Vault is a premium password manager allowing you to manage passwords from anywhere, from its mobile apps and browser extensions and comes with features like two-factor authentication, sharing and transferring of logins between users and many more. Besides the fact that it is a premium software, you can also download the free version of it; to experience it once, and if you like it, you can always go for the paid one. However, for now, browsers extensions are available only for Chrome, Firefox, and Safari browsers. Also, It doesn’t provide you with few features like automatic web form filling, and you also can’t import passwords from the browsers. Unlike others, AgileBits 1Password Manager is compatible with all, i.e. Windows, macOS, Android, and iOS. Moreover, also it comes with the extensions for almost every browser. It does the same job as other managers, i.e. to help you in storing and managing your multiple account username and passwords. However, it also comes with many handy and new features, some of them are like using two-factor authentication to provide you with the extra layer of security, and the all-new feature of Emergency kit. If you are wondering what emergency kit is, it is an exclusive feature which helps you in restoring the password if in any case, you forget it. A PDF file containing your email address and account key, with a unique space for writing down your master password is created, when you click on the Emergency Kit. Print this pdf file and write down the master password and place this file in some secure place. 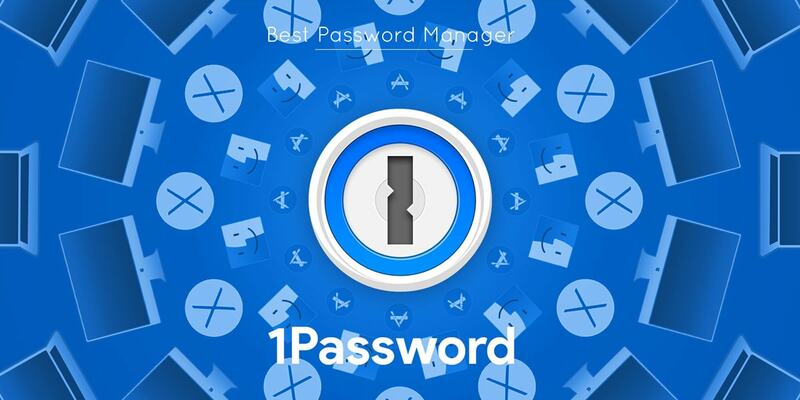 At last, AgileBits 1Password Manager is a great password manager but still lacks some of the features like multi-factor authentication, automatic filing and that’s the reason why it is ranked low. 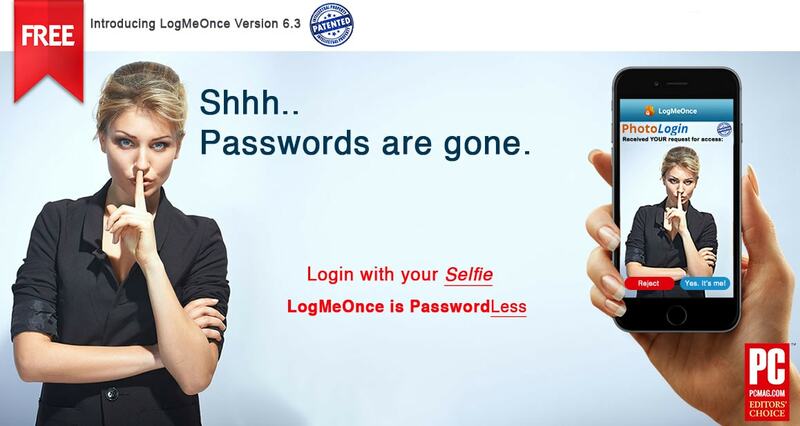 Last but not the least, LogMeOnce Password Manager is one of a kind. Not only it provides you with the functionality of safely securing your password beside it also use the face/photo recognition technique which makes the database even more secure. It comes with the standard interface which can be overlooked in front of the comprehensive security features it provides. It can be easily synchronised across Windows, macOS, Linux, iOS, and Android platforms. Just like some of the other password manager, it helps you in auto login. If you are visiting a site of which you already have a saved password in LogMeOnce, a window pops up asking for the confirmation to login directly to the site using the saved password. Click on it, and you will be automatically logged in, an advantageous feature when you hate to enter credentials again and again. So, these are some of the best password manager of 2018. Some of the above-stated ones are premium ones, i.e. paid , but each of them is worth the money you are investing in it. However, still if you got any doubts, you can always ask us in the comment section. While some Password Manager might seem inappropriate in the list as per your need, do let us know if you have better suggestions.